Would you like to memorialize a loved one? Even when you are out of town or move your loved oneʼs yahrzeit will not be forgotten. You will have peace of mind that their light will shine for their personal Yahrzeit and for Yom Kippur. Kaddish will be recited in perpetuity by the community, for those who have a plaque placed on one of our Memorial Boards found on the north wall of the sanctuary. Their name will also appear in our Yom Kippur booklet. 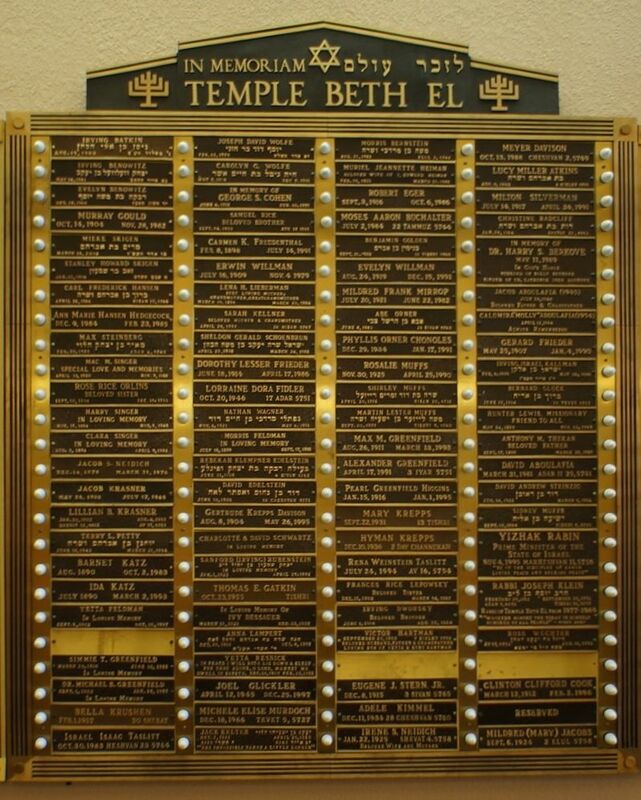 Plaques may be purchased by temple members for $300.00. Non-member cost is $450.00. To purchase a plaque, please contact the Rabbi or Dee Cook at 521-7319.